[S11] Alison Weir, Britain's Royal Families: The Complete Genealogy (London, U.K.: The Bodley Head, 1999), page 276. Hereinafter cited as Britain's Royal Families. [S8294] Peter and Roger Powell Beauclerk-Dewar, Right Royal Bastards: The fruits of passion (Wilmington, Delaware: Burkes Peerage & Gentry, 2006), page 74. Hereinafter cited as Right Royal Bastards. [S6] G.E. Cokayne; with Vicary Gibbs, H.A. Doubleday, Geoffrey H. White, Duncan Warrand and Lord Howard de Walden, editors, The Complete Peerage of England, Scotland, Ireland, Great Britain and the United Kingdom, Extant, Extinct or Dormant, new ed., 13 volumes in 14 (1910-1959; reprint in 6 volumes, Gloucester, U.K.: Alan Sutton Publishing, 2000), volume III, page 183. Hereinafter cited as The Complete Peerage. She was created 1st Countess of Walsingham, co. Norfolk [Great Britain] on 7 April 1722, for life.1,4 She was created 1st Baroness of Aldborough, co. Suffolk [Great Britain] on 7 April 1722, for life.1,4 After her marriage, Petronilla Melusina von der Schulenburg, Countess of Walsingham was styled as Countess of Chesterfield on 14 May 1733. 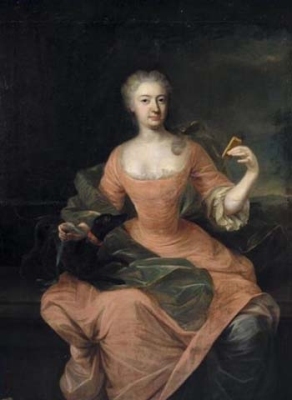 From 14 May 1733, her married name became Stanhope. [S2] Peter W. Hammond, editor, The Complete Peerage or a History of the House of Lords and All its Members From the Earliest Times, Volume XIV: Addenda & Corrigenda (Stroud, Gloucestershire, U.K.: Sutton Publishing, 1998), page 171. Hereinafter cited as The Complete Peerage, Volume XIV. [S8294] Peter and Roger Powell Beauclerk-Dewar, Right Royal Bastards: The fruits of passion (Wilmington, Delaware: Burkes Peerage & Gentry, 2006), page 79. Hereinafter cited as Right Royal Bastards. [S8294] Peter and Roger Powell Beauclerk-Dewar, Right Royal Bastards, page 80. 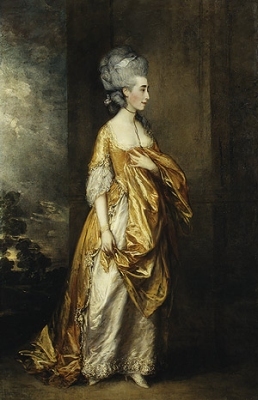 Georgina Frederica Augusta Elliott was born in 1782 illegitimately.1 She was the daughter of George IV Hanover, King of the United Kingdom and Grace Dalrymple. 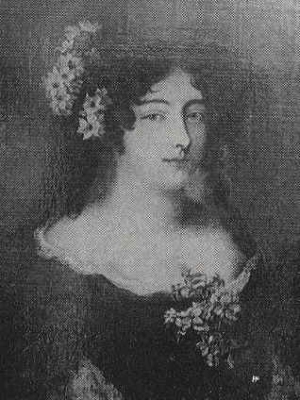 Grace Dalrymple was born in 1754. She died in 1823. She and George IV Hanover, King of the United Kingdom were associated.